Sadly this cute little place has closed. The owners hope to open at a new location in the future. The Thị Nghè Channel snakes its way west to east across Saigon – just north of the central districts – before flowing into the Saigon River. Its meandering course makes a mockery of the rigid grid-system of roads laid out by the colonial French, so much so that a direct route to some locations in the city involves crossing the Thị Nghè Channel twice. In the last few years this urban waterway has been rejuvenated: new roads have been laid either side of the channel, the banks have been reinforced and beautifully landscaped with trees and perfumed tropical flowers, and countless open-air cafes and restaurants have sprung up to take advantage of the cooler air and quieter surroundings this area now offers. 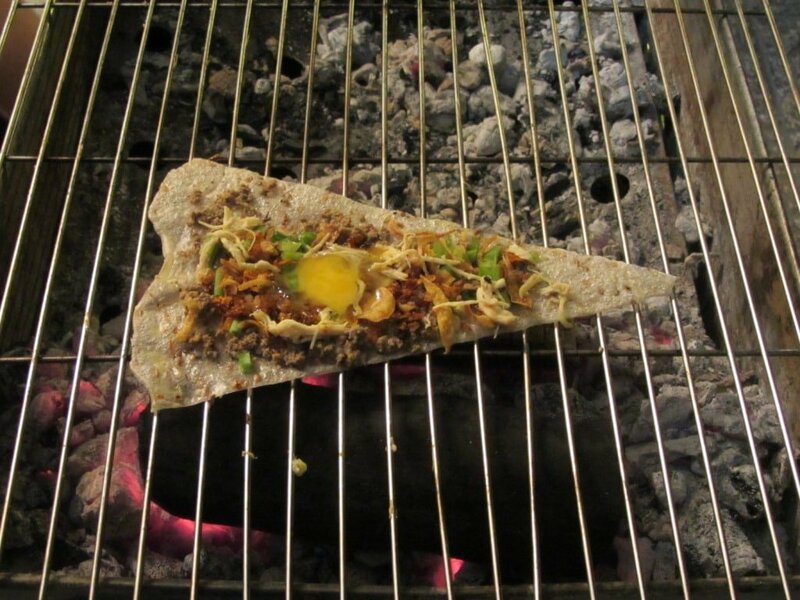 One of these new eateries is called Bếp Than. 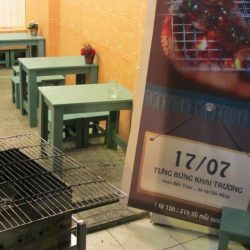 It’s very easy to miss Bếp Than: located on Trường Sa street, on the north bank of the Thị Nghè Channel, it’s not so much a restaurant as it is a doorway. 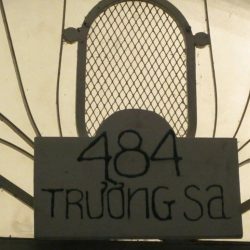 Still, as doorways go, Bếp Than is an attractive one: painted green, with a white-striped awning protruding over an Art Nouveau-inspired porch, it resembles the entrance to a Parisian Metro station. The French theme continues inside, with potted plants on green wooden tables, white balustrades on a tiny but grand staircase, and tiled walls. It’s all very small and ‘cutesy’, but tasteful: the kind of café you’d expect to find Amélie daydreaming in. All these stylistic touches are down to the two young owners and cooks, Hoài and Sương, who are interior designers from south and central Vietnam respectively. Their feel for design carries over to the menu, which is simple, short and delicious. 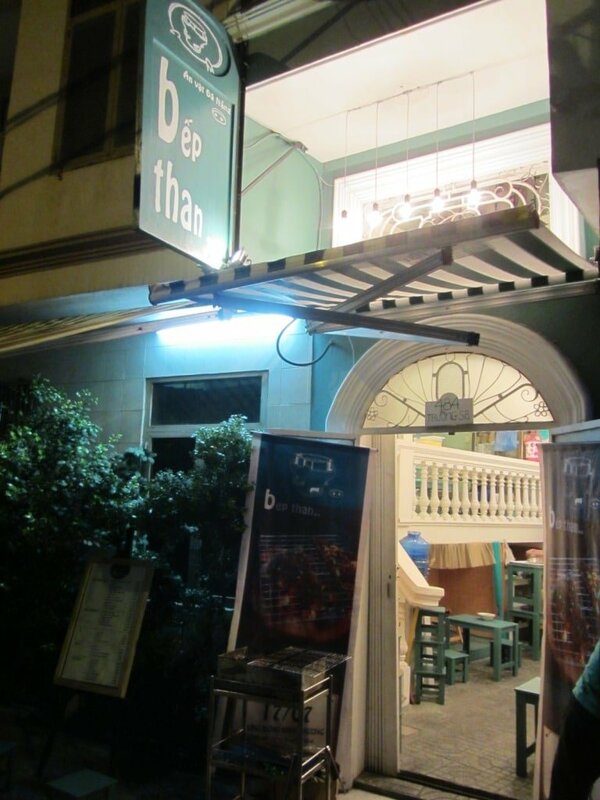 Bếp Than specializes in ăn vật, which is best translated as ‘Vietnamese tapas’. 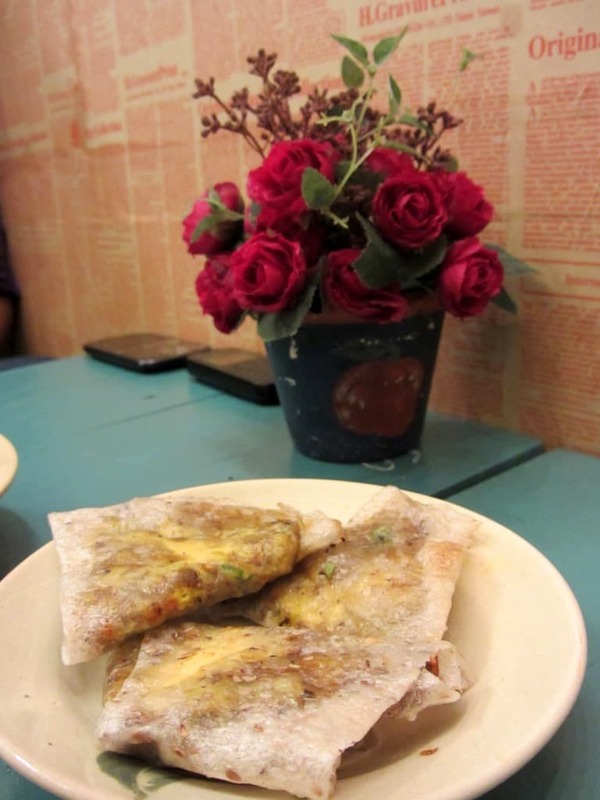 There’s a couple dozen items on the menu, all of which – like the place itself – are small, tasteful and well-presented. 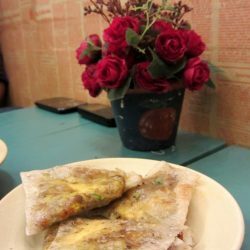 There are three basic choices: bánh tráng khô (crispy rice crackers with toppings, sometimes referred to as Vietnamese pizza), bánh tráng ướt (rice paper wraps with assorted fillings), and gỏi (fresh salads). 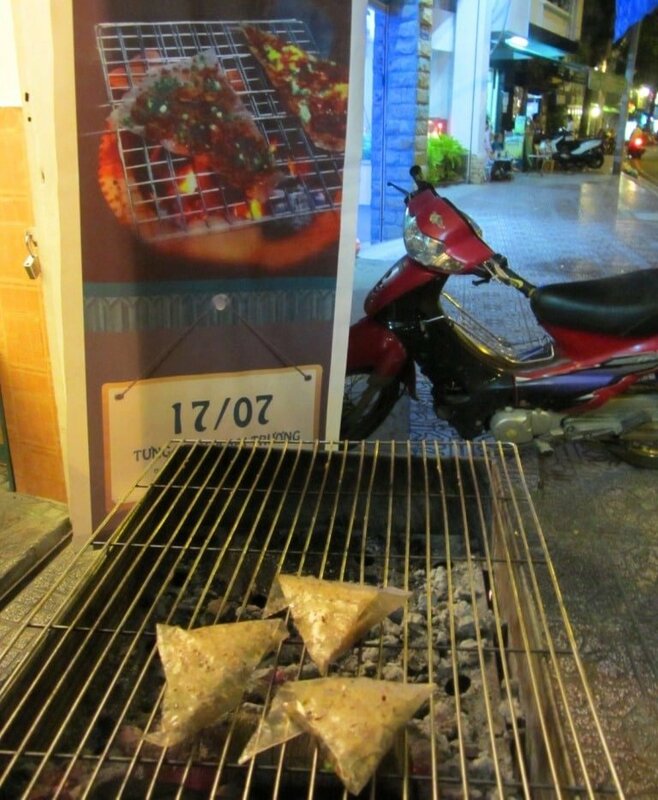 Apart from the salads, all dishes are cooked to order on the sidewalk on a bếp than, which is the name of the charcoal stove over which all sorts of delicious treats are grilled, and is the namesake of this eatery. 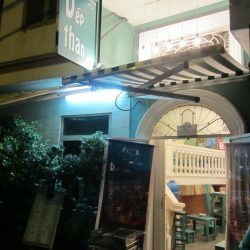 Most dishes cost less than 20,000VNĐ ($1), so if you come with a small group of friends it’s easy to make your way through the entire menu in one night. 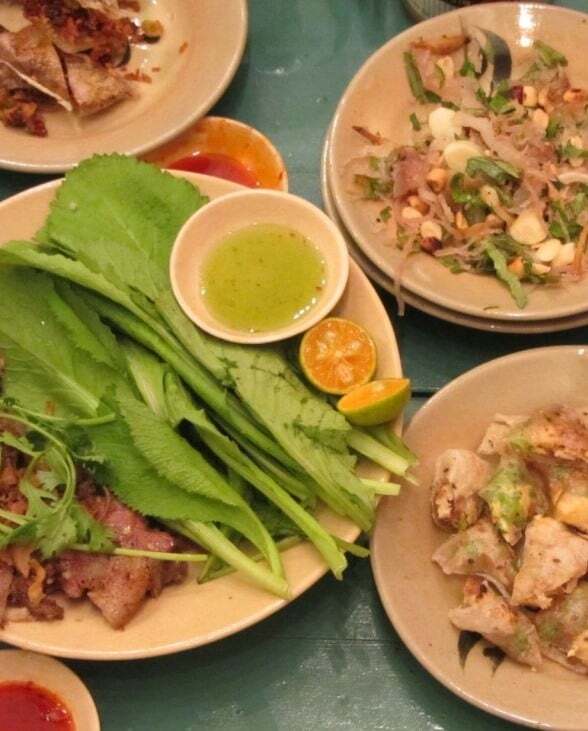 I particularly liked bánh tráng ướt gà phô mai cuộn (warm rice paper wraps with chicken and cheese), and thịt nướng cuộn lá cải (marinated pork wrapped in mustard leaf). 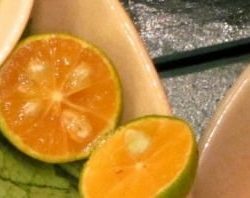 Dipping sauces – from hot and spicy to cool and citrusy – accompany each dish. 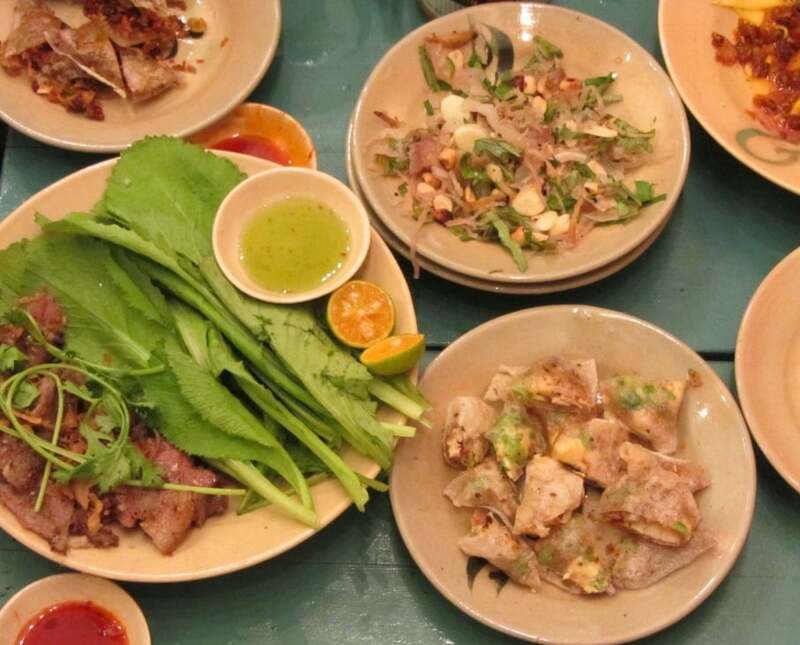 This kind of light food is best enjoyed with a light drink, and Bếp Than provides the perfect alcoholic companion to their food: nước chanh rum (a kind of Vietnamese mojito with rum and lime). 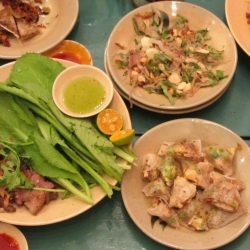 Because the food – and everything else about this place – is small, it’s a good idea to treat Bếp Than as ‘dessert’ rather than a main meal. 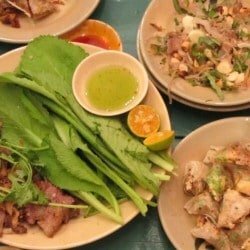 Have a light dinner somewhere else before making your way to Bếp Than for some Vietnamese tapas, mojitos and socializing. There are only a few tiny tables and chairs here, so let’s hope it doesn’t become too popular. I prefer sitting outside on the pavement to sitting inside – as long as the police don’t come along and ruin the fun by ordering all outdoor seating removed. (The owners say they are considering opening for breakfast in the future, which is something to look forward to). 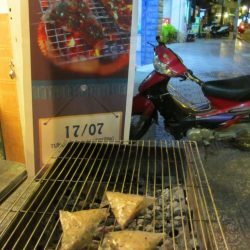 This entry was posted in ALL, FOOD & DRINK, Street Food and tagged food, guide, Ho Chi Minh City, Saigon, street food, travel, Vietnam, Vietnamese cuisine. Bookmark the permalink. I’m afraid not. The owners have started on other projects. 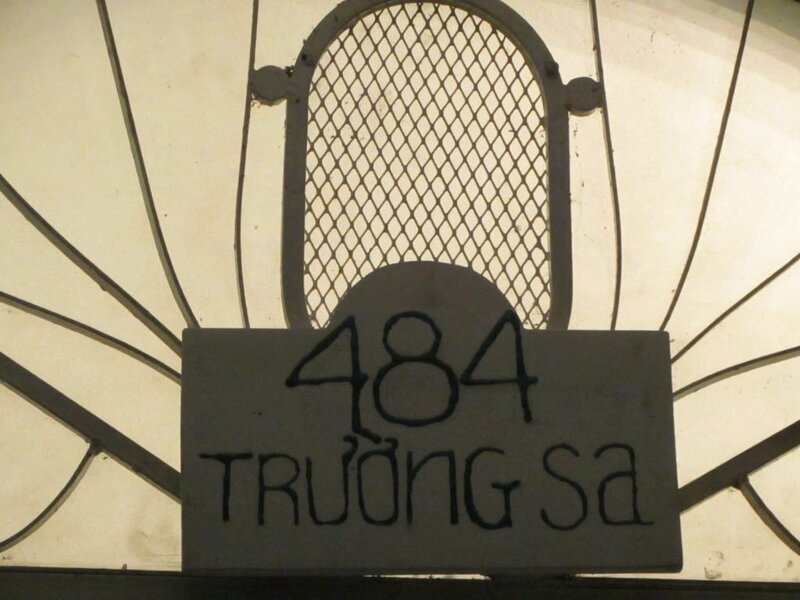 I still hope that they (or at least one of them) will one day open something similar in Saigon. 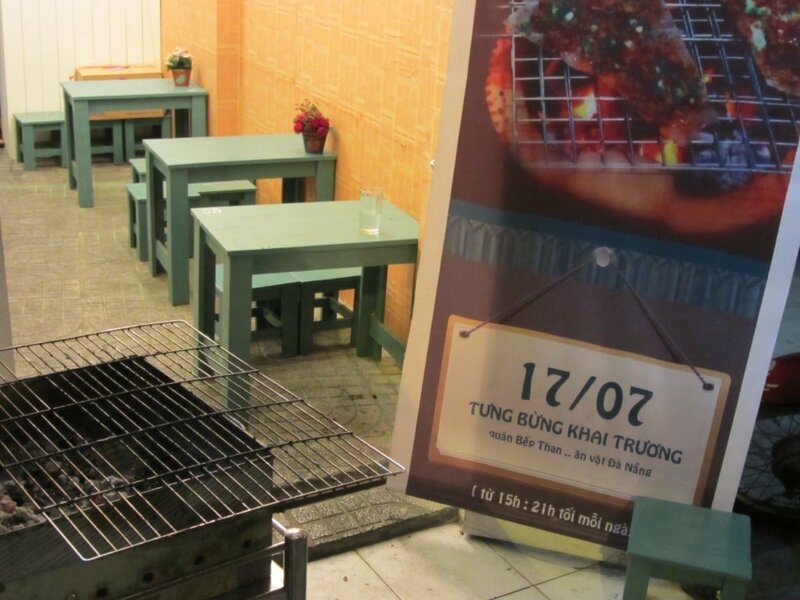 However, you certainly won’t go hungry while in Saigon. 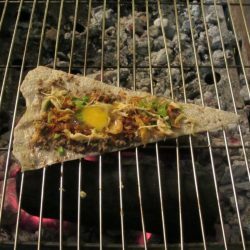 Perhaps a good start is to have a look at my recent street food guide here.